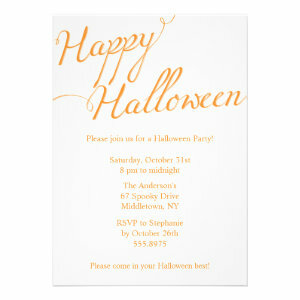 These stylish Modern Typography Halloween Party Invitations are perfect for those wanting to throw a spooky Halloween party. 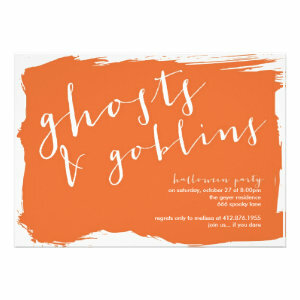 With minimal designs to enhance the stunning typography, these Halloween party invites are ideal for lots of different party ideas. 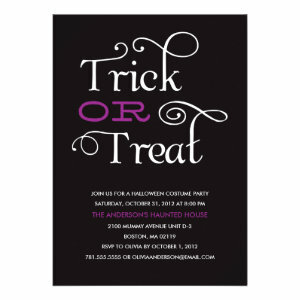 You could throw a fancy dress costume party, a terrifying Champaign and evening banquet dinner, a monster or horror film themed party, or costume and cocktails party. 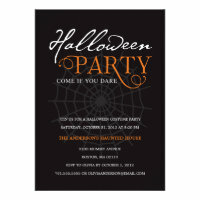 All Halloween invitations can be personalized to include your own information, party details and guests name, you can change the font, style, colour and design should you wish to. You can also change the orientation and paper type too. The designs are sophisticated and modern and feature some of the most popular typography font styles which compliment each other beautifully. Suitable for all age range of people from a children's party through teenage and even adult. 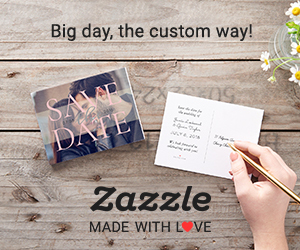 These stylish invites fit perfectly to any theme as well. 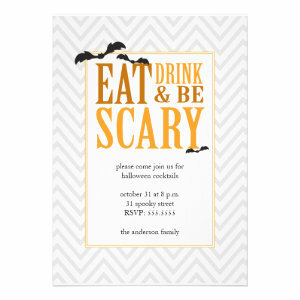 Take the stress out of inviting guests to your Halloween party with these customizable Modern Typography Halloween Party Invitations.